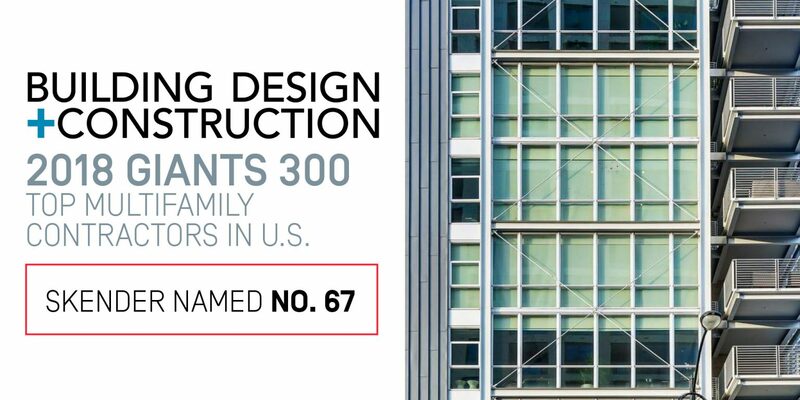 Skender ranked among the top 130 construction firms in the U.S., according to a report compiled by Building Design+Construction magazine. As part of the publication’s 2018 Giants 300 Report, which ranks U.S. building contractors by annual revenue, Skender earned the No. 80 spot with 2017 revenues of $400 million. Building Design+Construction also ranks U.S. contractors by building sector. Skender earned the No. 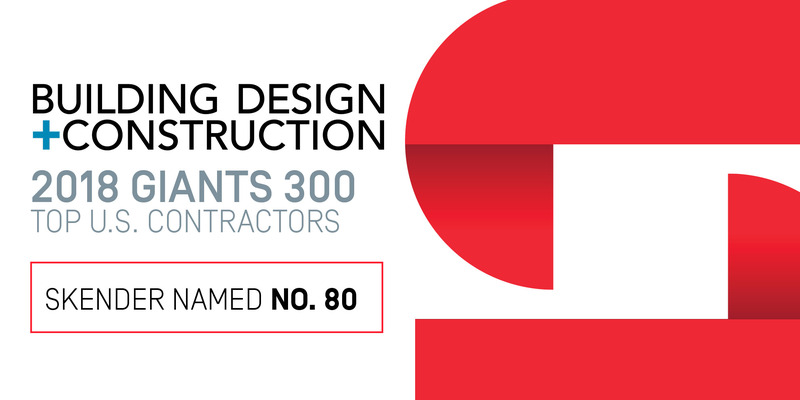 31 spot in the list of top retail contractors, No. 35 among the top office contractors, No. 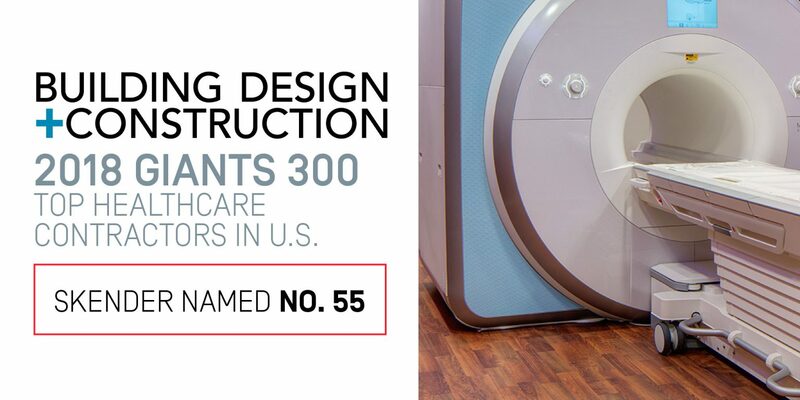 55 among the top healthcare contractors, and No. 67 among the nation’s top multifamily contractors. In August, Skender was recognized by Midwest Real Estate News. In the magazine’s “2018 Best of the Best” issue, Skender ranked among the top 25 general contractors in the Midwest. This ranking was also determined by 2017 revenues. In addition to these industry accolades, Skender was recently recognized by Crain’s Chicago Business. In the publication’s “Chicago’s Largest Privately Held Companies” list, Skender earned the No. 137 spot of nearly 370 privately-held companies. This ranking was determined by 2017 revenues. Skender was also named to Crain’s Chicago Businesses’ “Best Places to Work” list, earning the No. 6 spot of 100 companies.